How’d they get your number anyway? 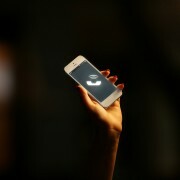 Does having caller ID help screen calls? The point of caller ID is to allow us to identify who is calling and if we wish to speak to that person. However, some sly telemarketers will mask or falsify the caller ID by using a practice called “spoofing”, a strong indication the call may not be legitimate. 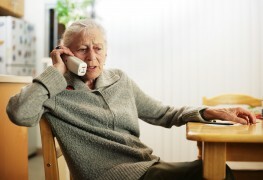 Telephone fraud, called vishing, is very much like computer fraud, referred to as "phishing" or "brand spoofing" according to the RCMP, in that callers deliberately misrepresent who they are to trick people into keying in information such their account numbers, personal identification numbers (PINs), or passwords using the telephone keypad. 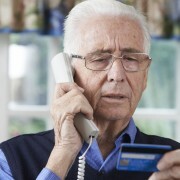 The fraudster can also ask the victims to confirm some personal information like home address and place of work. If you receive a telemarketing call you believe has a spoofed caller ID, or keep getting unwanted calls, by law you're entitled to file a complaint. Where should you begin? There are four key steps involved should you wish to file a formal complaint to the CRTC against an aggressive telemarketer who won't take “no” for an answer. If your number is registered with the National DNCL and telemarketers continue to harass you, you should still pick up even if you know the caller is a telemarketer. The reason? To gather information that the CRTC could potentially use against people or companies that don't comply with the DNCL guidelines. Online through the National DNCL website. By phone (toll-free) at 1-866-580-DNCL (1-866-580-3625). If you are calling from a TTY device at 1-888-DNCL-TTY (1-888-362-5889). The sooner you report the incident, the better. Generally, the details will be fresher in your mind and the trail for investigators will still be warm. To formally file a complaint about fraudulent calls or a spoofing incident, you can contact the Canadian Anti-Fraud Centre at 1-888-495-8501. If the CRTC determines a telemarketer has violated a DNCL rule, it can take measures to bring telemarketers into compliance, including issuing a citation requiring the telemarketer to take immediate corrective action. In some cases, if they do not comply, they may be fined $1,500 for an individual and $15,000 for a corporation. Although many companies use telemarketing as an honest means to market their products or services, most people find the practice to be intrusive and annoying. So the next time the phone rings and it’s a telemarketer, it’s good to know you can do something to put an end to the calls. Since unscrupulous telemarketers are everywhere, why not share this article with friends and family so they’ll also know how to stop unwanted calls.